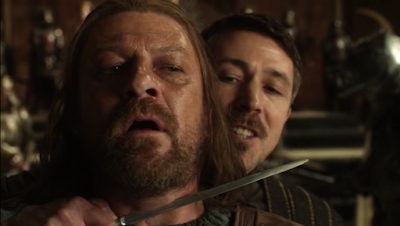 This is a new video from WatchMojo that lists the top 10 Game of Thrones betrayals. Playing the Game of Thrones means a constant stream of lies and betrayals, as characters play multiple sides in order to get what they want. And there have been many moments of character betrayals during the first six seasons. A whole list could be devoted to Littlefinger's betrayals alone. Check out the video below to see which betrayals made the list.